In Istria spring is in the air! 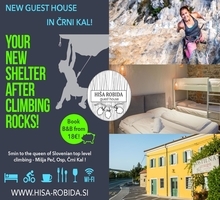 The temperatures are nice, flowers are blooming and wild asparagus are everywhere, not to mention that already »summer« crags like Baratro, Grotta Caterina and Skedenj are already totally dry. In sunny Napoleonica, both young Jaka Šprah and restless Luka Biščak redpointed the crimpy classic Orcobaleno (8b). The small tufas in the big cave of Osp are different from those in other crags. Because they are tufa-ceuos, they are very porous and get soaked with water fast. When they are dry, they are very strong, but if the water is dripping from them, it also dissolved the binding materials inside, which makes them much more fragile, like wall without mortar. Because this are good holds, it is possible to climb even wet routes, but the risk that tufa will break is, also according to experience from last couple of years, much higher. Let’s leave aside danger for the people under the wall, here the most important thing is preservation of the wall and especially routes – many have in time already become harder and just a break or two separate them from making a 5-star route unclimbable or having a nasty bouldery crux! So absolutely refrain from climbing, grabbing or stepping on wet mushrooms and tufas! We understand that it is annoying, when you drive from far away and your project is dripping wet. 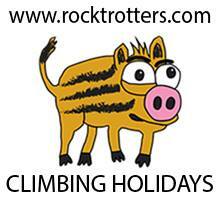 But climbing in nature also has such limitations. Your decision to ignore this warning is even more unethical than chipping artificial holds. The big cave of Osp has a relatively long dry period, some routes are also less critical and besides, there are Osp, Mišja peč and Baratro nearby (1). In the same cave of Osp, Croatian Siniša Škalec redpointed his first 8b ever, previously mentioned Helikopter v omaki. Couple of hundred meters away, in sector above the village of Osp Miha Pančur and Damjan Gruden ticked Osapska mumija (8b), the connection of cruxes of Matičkov svet (8b) and Karies (8a+). 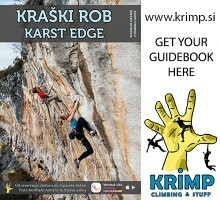 Passing the Croatian border, in Kompanj Marko Kalčič smashed the long Gayline original (8b) and Hungarian Tamas Farkas crushed beautiful power-endurance route Der Berg ruft (8b) in the small cave on the far-right side of the crag. In the same sector his friend Soma Strommer flashed Granouille (8a). 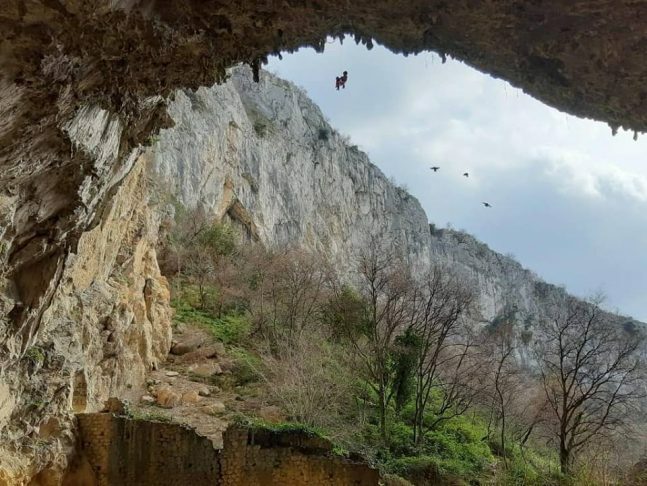 In Čiritež, in the small cave of RockNRoč Tamas Farkas onsighted Nairobi (8a) while Austrian Martin Sobotka executed in short and bouldery The time (8b+). With nice weather forecast there will be many more news to come soon, for sure!